Dr. JD Dudum has helped hundreds of patients suffering from sciatic nerve pain. Chiropractic care will address the root cause of your sciatia, getting you out of pain and keeping you there. 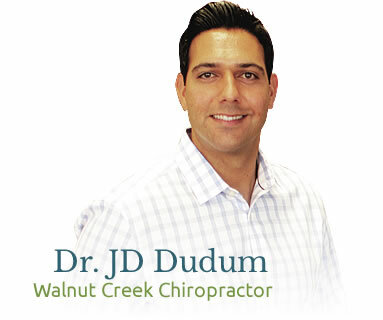 Click below to book a FREE consultation with Walnut Creek chiropractor Dr. JD Dudum and see how all natural chiropractic care can help you. You have nothing to lose but your pain! I have had pain from sciatica for a long time. A friend’s daughter recommended Dr. Dudum, and I am so thankful that she did! Dr. Dudum took the time to take x-rays, talked to me about my issue and helped me to fully understand where my pain was coming from. I always leave feeling so much better than when I arrived. For his thoroughness, kindly understanding, expert knowledge and skills, and effective tutoring, I recommend Dr. Dudum to anyone who is suffering from pain.